Dwight Yoakam To Perform At The Ryman Auditorium For The First Time In Years. 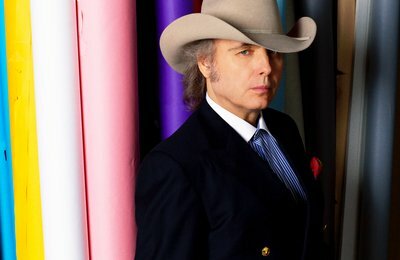 Dwight Yoakam will have his first performance at the Ryman Auditorium since 2005, on April 12, 2013. Yoakam is currently touring in support of his 2012 album, 3 Pears. “The Ryman is one of a handful of places in the world, that from the moment you step inside, you can feel that you have entered a hallowed chamber occupied by the essence of the great.” -Yoakam 3 Pears has been named one of 2012’s most critically acclaimed country albums. The Lone Bellow is set to open for Yoakam that night. Dwight Yoakam Offers Fans Preview of Tracks from New Album 3 Pears. Dwight Yoakam will be releasing his new album 3 Pears next week on Tuesday, September 18th, and in the run-up to its debut, he is giving fans a sneak peak at five of the tracks featured on the album. Country music fans can access the track previews through some of the major corporate outlets including AOL, CMT, GAC, Taste of Country and Yahoo! For more details on the release and the preview head over to Dwight’s official site! Dwight Yoakam Sings In New Duet with Michelle Branch Iconic country singer Dwight Yoakam, known over the past couple of decades not only for his considerable musical talent but also his acting capabilities, is featured on Michelle Branch‘s track “Long Goodbye“. “One of my favorite artists is Dwight Yoakam. When I was in the studio in Nashville, we met and I told him it would be a dream come true if he sang on my record. Next thing you know, he was in the studio singing “Long Goodbye” with me. I couldn’t imagine this song without his voice on it.” -Michelle Branch Branch transitioned from Pop music, known for her massively popular album, Hotel Paper, onto the Country Music scene through her collaboration with Jessica Harp in their duo group The Wreckers and hit album Stand Still, Look Pretty. A Sedona, Arizona native, this move to country music helped Branch get back to her roots. Branch released an EP album Everything Comes and Goes in 2010 featuring several quality songs, one of which she had hoped would be “Long Goodbye” but this did not pan out. You can dowload the Dwight Yoakam and Michelle Branch duet for free by clicking here. Text COUNTRY to 22828 to be eligible for exclusive text subscriber giveaways from CountryMusicNewsBlog.com!